* 29 and 34. 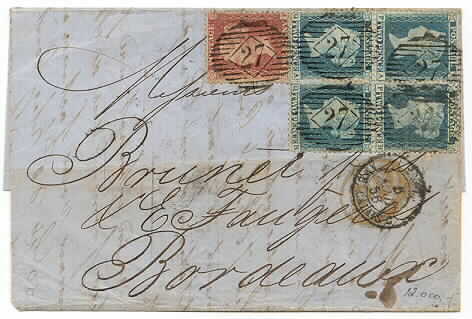 1 d and block of four of 2 d Victoria - with numeral cancellation "27" (London Clapham) on cover sent to Bordeaux. * 101. 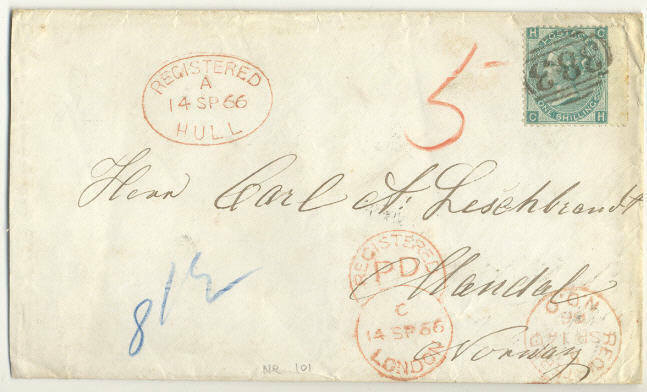 1 shilling Victoria - cancelled "383" on cover cancelled "Hull 14 SP 66" sent via London, Lübeck and Sandøsund to Mandal, Norway.